When ophthalmic medical technicians or technologists ask to look you in the eye, they really mean it. These professionals assist ophthalmologists— or eye doctors— to provide eye care to patients. Ophthalmic medical technicians and technologists administer eye exams, dispense eye medications, and instruct patients in the care and use of corrective lenses. 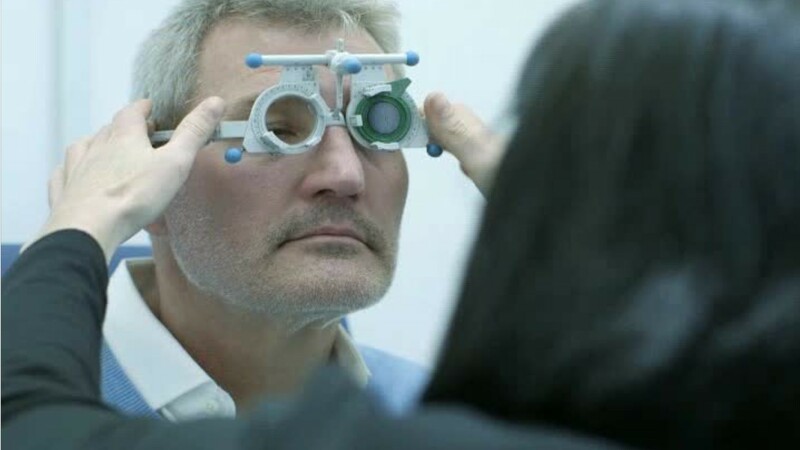 They take measurements of the eye with highly specialized equipment. Technologists also train and supervise technicians and assistants, take diagnostic images of patients’ eyes, and may assist with minor surgical procedures. Technicians may measure a patient’s current lenses for accuracy. Working with eyes is delicate work. It takes attention to detail and dexterity. Interpersonal skills are also important, whether comforting an anxious patient or clarifying specifications for lenses. Generally these skilled professionals work full time. Both ophthalmic medical technicians and technologists typically earn an ophthalmic technician certificate, earned in 1-2 years at a community college or professional school, then obtain a certification. When these technicians and technologists see eye to eye with their patients, better vision is in sight. Ophthalmic Medical Technicians by U.S. Department of Labor, Employment and Training Administration is licensed under a Creative Commons Attribution 4.0 International License.